You’ve probably seen clickbait like this all over YouTube, Twitter, etc. and we don’t usually do money making guides but considering the prices of some of the Red Dead Online items, and the fact this method is pretty good and doesn’t involve glitching, here is a good way to make quick money. Before we get into this, I would like to give huge gratitude to Michael (AKA LegacyKillaHD) for DMing me this method and letting me know about it, go check out his channel for fast Red Dead related content. Disclaimer: This method involves a lot of grind, if you’re up for it, and does force you to keep restarting your Red Dead Online character. However, money transfers over – but stats do not. Firstly, you want to complete the 6 main story missions which will get you to around Level 8. 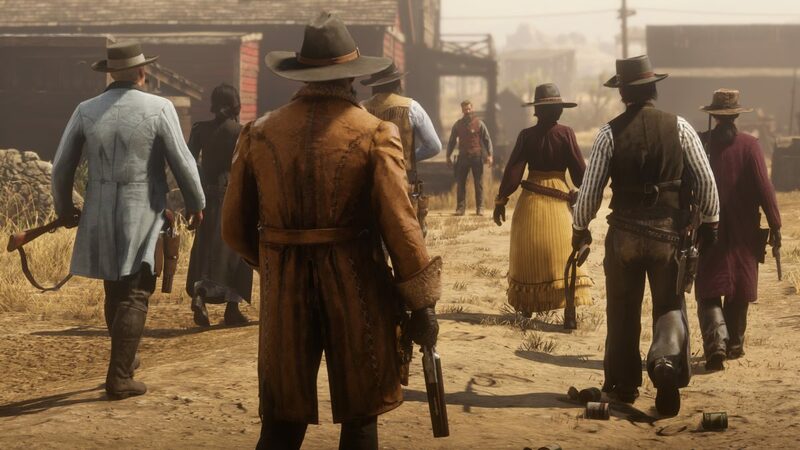 These 6 story missions grant you $450 (depending on how much you fast travel) and 0.7 gold bars. Once you have done so, you can choose to move onto the next step or continue to reach Level 10 so you can complete the treasure map that gets you $100 and a random amount of gold. Once you’ve done that, press start, go to PLAYER, and hold ⬜ / X to delete your character. The money will carry over to new characters similar to GTA Online. Now, do it all over again as many times as you want. Just completing the six main story missions over and over will take you around 2.5 – 3 hours per character meaning you’re making $400-500 every 2.5 hours or so, while also making up to 1.3 gold every 2.5 hours. It’s a pretty good way to make money, unfortunately it is very grindy. It’s up to you. We’d just thought we’d share it for those who don’t mind the grind and want to make quick and easy money. Considering some races only grant you $2.50 or so, it’s a viable option. Thanks once again to Michael.